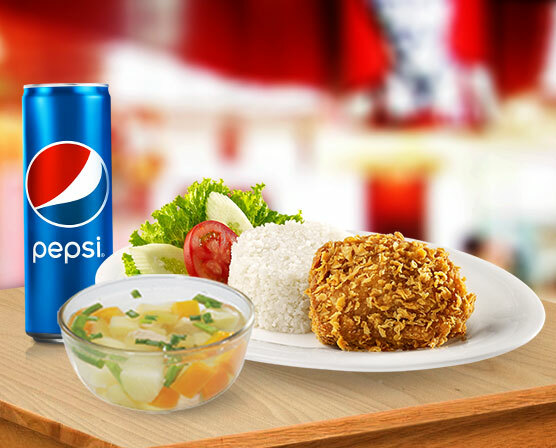 KFC VIET NAM JOINT VENTURE COMPANY LTD.
1st Method: Oder meals online by following the steps on the website kfcvietnam.com.vn. • The Customer select the desired meals shown in the "Menu" category. • The desired meals will be inventoried in the "Your Cart", in which showing details of servings, unit price of each serving price and total price of the Order. The Customer may change (add, remove) servings at this step. • Upon completion of the order, the Customers select "Check Out". • In the field "Shipping Information", the Customer will provide the required information including: Full name, Address, Town/City, Telephone number, Email and then select "Deliver To This Address". • In the field “Confirm Your Order”, the Customer will review the order information and select “Confirm Order” to complete the order in the system. • The system will send an email about orders of the Customer within 05-10 minutes and will contact the Customer to confirm within 15 minutes after the selection of the “Confirm Order” button on the website by the Customer. • The Customer will make a phone call to the call center for supports by operators. • The Customer order the meals provided on the website, leaflets or brochures introducing servings of KFC Vietnam to the operators for their acknowledge, then the Customer will be required to provide the delivery information by the operators, including: Full name, Address, Province/City, Telephone, Email, other requirements for delivery (if any). • The employees of KFC Vietnam will take the order, confirm the order and delivery within 30 minutes or more upon the receipt of the order. 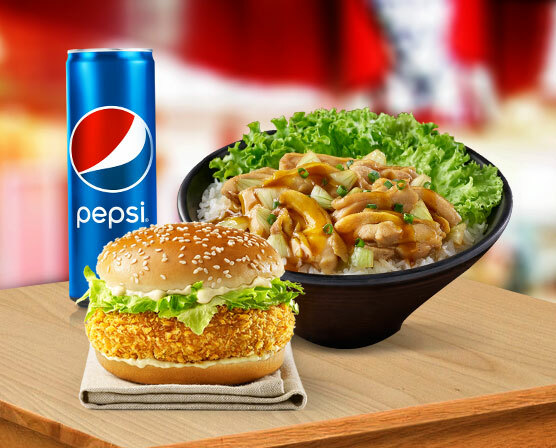 • KFC Vietnam only accepts online orders from 9:00 am to 21:00 pm. 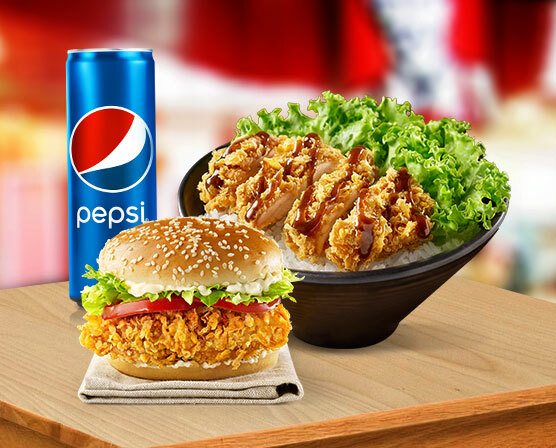 • KFC Vietnam only accepts orders having total price at least VND 80,000. After orders have been placed, delivery staffs of KFC Vietnam will notify the Customer on the delivery. The Customer is earnestly requested to make the payment in cash or vouchers (if any) at the delivery place, the delivery staffs will issue valid sales invoices after the delivered orders are checked by the Customer. Upon completion of the online order via kfcvietnam.com.vn website, the system will automatically send a confirmation email to the Customer's mailbox. Within 10 minutes, the operators of KFC Vietnam will contact to confirm, process, and complete the order procedures. In case of no feedback, the Customer is earnestly requested to directly call the hotline 19006886 to directly reflect on the order. In most cases, the Customer will receive an email together with the order information within 10 minutes from the moment where the Customer place order. If the Customer still not yet receive such order confirmation after that time, please check the spam or the spam filter of the email. After the receipt of the order, the delivery staffs of KFC Vietnam will deliver to the address provided by the Customer within 30 minutes or more. At the time of delivery, the Customer is requested to check the meals according to the order printed in the invoice and the amount of money required for payment. The Customer is earnestly requested to make payment in cash or vouchers (if any). The delivery will be completed upon the confirmation of the Customer on the sufficiency of the meals. • In case the Customer changes its address or require to adjust orders, it is supposed to only be done within 03 minutes after the confirmation of the meals and address for delivery. • The adjustment of the order for changing the meals will not be accepted if the Customer notice such adjustment after 03 minutes from the receipt of order by KFC Vietnam. After placing of order, the Customer may contact the call center to request the operators of KFC Vietnam to adjust orders within 03 minutes after the confirmation of the order. All adjustments of the orders exceeding the above time will not be accepted. KFC Vietnam reserves the right to refuse the orders which have the total value less than VND 80,000 after being adjusted. In case the Customer detects that the delivered meals are putrid, stale or in bad quality … then KFC Vietnam will immediately conduct the verification and change the meals within 30 minutes upon receipt of complain from the Customer. If the putridness, staleness… of the meals are detected the Customer are earnestly requested to immediately notify KFC Vietnam via telephone number 19006886 to complain, KFC Vietnam will appoint staffs to directly check at the address of the Customer make the change of meals, if the Customer refuse to change the meals, KFC Vietnam will refund the Customer in accordance with the value of the such putrid, stale food. These general policies and provisions will govern the use of the Customer of the KFC Vietnam’s website and the organizations related to the website of KFC Vietnam. 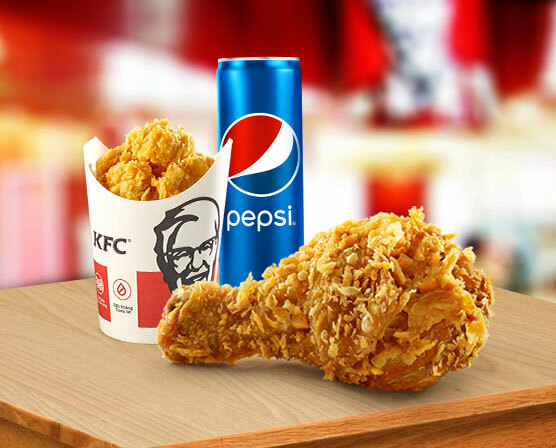 By accessing and sign in to this website, the Customer are agreeing and accepting with all the general terms and conditions of the information confidence policies and provisions of KFC Vietnam. If the Customer do not agree to any of these terms and conditions, please do not access to the website of KFC Vietnam. These general terms and conditions are considered as the agreement between the Customer and KFC Vietnam and will be applied upon the use of the Customer of the KFC Vietnam’s website. These general terms and conditions will affect to the right and benefit of the Customer, the Customer is advised to carefully read them before using. 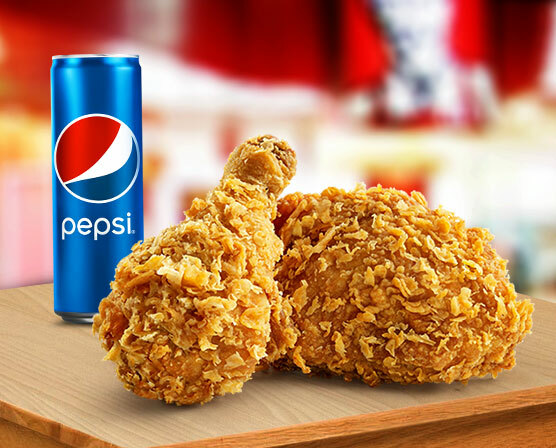 KFC Vietnam reserves the right to change or modify these general terms and conditions, at anytime, without prior notification to the Customer. 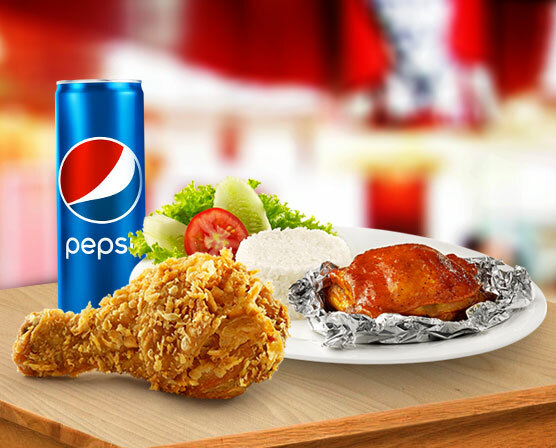 The Customer will be able to review the newest updated version of these general terms and conditions by clicking on “General Terms and Conditions” at the homepage of kfcvietnam.com.vn. Such updated version will prevail and replace all previous versions. The Customer’s continued use of the KFC Vietnam’s website after such changes or modifications will confirm the Customer’s acceptance with them. If the Customer use the website of KFC Vietnam, the Customer will be responsible for maintaining the confidentiality of the account used by the Customer, preserving the password and restrict the access of other peoples to the Customer’s computers, and the Customer agree to be responsible for all activities which occur under the accounts or passwords of the Customer. These general terms and conditions will be applied to all Customer who are using the website of KFC Vietnam. This Website may contain links to the third parties websites that are not owned by KFC Vietnam. KFC Vietnam have no right to control over the contents, information privacy policies or other parts in the website of the third parties. In addition, KFC Vietnam cannot censor or edit the contents on the websites of the third parties. We encourage the Customer to carefully read the terms, conditions and information privacy policies of the third parties’ websites that you access. KFC Vietnam hereby grant the permission for the Customer to use the website as set forth in terms and conditions, including: (i) only using the website for the personal purpose, not for the commercial purpose; (ii) not to copy, nor to provide any information of this website to the third parties; (iii) the Customer are not allowed to change or modify any part of this website; (iv) the Customer must comply with these the terms and conditions for using the services. In order to access some features of the website, the Customer will have to create an account. The Customer will not be allowed to use the accounts of another person without the consent of the account holders. When creating an account, the Customer must provide complete and accurate information. The Customer will be responsible for all activities that occur on his/her account, and the Customer must keep his/her account password secure. The Customer must notify KFC Vietnam immediately of any breach of security or use of the accounts without the consent of the account holders. Although KFC Vietnam will not be liable for any loss relating to the unauthorized use of the account of the Customer but the Customer may be liable for the losses of KFC Vietnam or others due to such unauthorized use. The Customers agree to not use any automated system, including without limitation, robots, spies…. 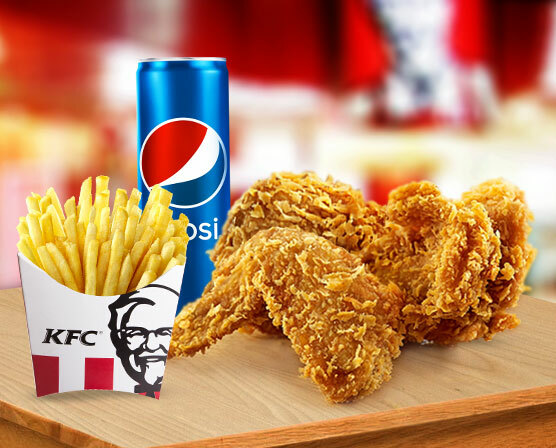 to access the website and send more request information to the server of KFC Vietnam than a normal human can reasonably do by conventionally using the website in a certain given period of time. Although it has been provided hereinabove, KFC Vietnam grants the moderators of public search engines the permission to use spy means to copy the information from the website for the purpose of creating publicly available searchable indices of these information but not cache or archive them. KFC Vietnam reserves the right to revoke these exceptions either generally or in specific cases. The Customer agree to not collect any personal information from the website, including the account names, nor to use the communication systems provided by the website for any commercial purposes. The Customers agree not to implore, for commercial purposes, any users of the website to request the information registration. Website of KFC Vietnam allows the registration of personal information. The Customer should understand that whether such the registered information are published or not, KFC Vietnam does not warrant any confidentiality to any information of any part of any registration. The Customer agree to probable disclosure by KFC Vietnam of Customer's name and information registration section on the website of KFC Vietnam or in other part of the press release or in media items. The Customer will be solely responsible for his/her personal information registration and the aware the importance of posting or publishing them. In connection with information submission, the Customer affirms, represents, and/or warrant that: (i) owing or having the necessary licenses, consents, and authorize KFC Vietnam to use and all patents, trademarks, copyright or other exclusive rights in any information registration; and (ii) the Customers has the written consent, receipt, and acceptance of each individual person who submitted his/her personal information in the registration to use the personal name or portrait and such submissions will become the property of KFC Vietnam. KFC Vietnam may use such submissions in our sole discretion. For clarity, the Customer retains all of his/her ownership rights in other registration. 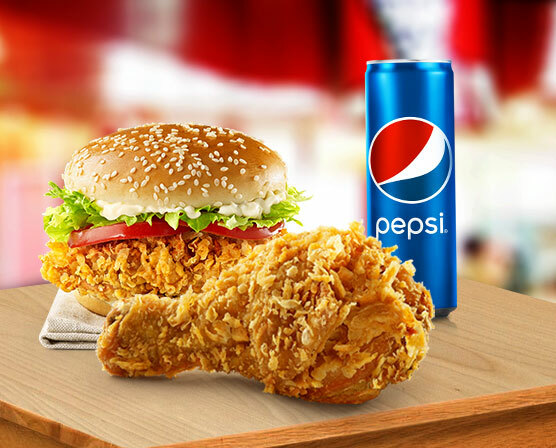 However, by submitting the personal information to KFC Vietnam’s website, the Customer hereby authorizes KFC Vietnam to use such personal information and KFC Vietnam reserves the right to use such information for the purpose of advertising on the Website in any media formats and through any media channels. 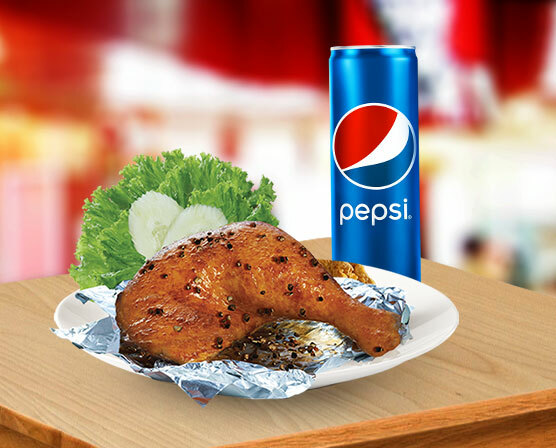 The Customer agrees that by using the KFC Vietnam’s website, the Customers will be at his/her sole risk. The officers, board of directors, employees and agents of KFC Vietnam disclaim all warranties in connection with the website and the use of the Customer thereof. KFC Vietnam makes no warranties or representations about the accuracy or completeness of this website's content or the content of any websites linked to the KFC Vietnam’s website and assumes no liability or responsibility for any (i) incorrect and error or inaccuracies of contents, (ii) personal injury or property damage, of any nature whatsoever, resulting from the access to and use of our website, (iii) any unauthorized access to our servers to collect any personal information and/or any financial information stored therein, (iv) any interruption or cessation of transmission to or from our website, (v) any bugs, viruses or the like which may be transmitted to or through our website by any third party, and/or (vi) any incorrect and error of contents or for any loss or damage of any kind incurred as a result of the use of any posted, emailed, transmitted content or the like, via the KFC Vietnam. KFC Vietnam does not warrant and take responsibility for any product or service advertised or promotions of a third party through the KFC Vietnam's website, and KFC Vietnam will not be responsible for monitoring any transaction between the Customer and the third-parties, providers of products and services. The purchase of a products or services through any agent, the Customer should use his/her own best judgment to decide what should be appropriate. The board of directors, employees, or agents of KFC Vietnam disclaim any legal responsibilities with the Customers in any circumstances including direct, indirect, incidental, special, intentional damages or whatsoever resulting from any, including but not limited to (i) incorrect, error or inaccuracies of content, (ii) personal injury or objective property damage, resulting from the access to and use of our website, (iii) any unauthorized access to collect any personal information and/or any financial information stored therein, (iv) any interruption or cessation of transmission to or from our website, (v) any bugs, viruses or the like which may be transmitted to or through our website by any third party, and/or (vi) any incorrect and error of contents or for any loss or damage of any kind incurred as a result of the use of any posted, emailed, transmitted content or the like, via the KFC Vietnam, whether based on warranty, contract, tort, or any other legal theory, and the company will not be responsible for such damages which may occur. The foregoing limitation of liability shall apply to the fullest extent permitted by law. The Customer should clearly acknowledge that KFC Vietnam will not be liable for information registration of user or illegal instruction of any third parties or any risk or damage which may occur for the Customer. This web site contains many valuable trademarks owned and used by KFC Vietnam, and its subsidiaries and affiliates throughout the world. These trademarks are used to distinguish KFC Vietnam’s quality products and services. These trademarks and related proprietary property are protected from reproduction and replicate under national and international laws and will not to be copied, in any nature whatsoever, without the express written consent given by KFC Vietnam. The text, graphics and html code contained in this website may not be copied, distributed, displayed, reproduced or transmitted in any form or via any means without the prior written consent given by KFC Vietnam. The KFC Vietnam’s website may be linked to other websites which are not involved to the KFC Vietnam. Hyperlinks are not provided as a service to the Customer and are not sponsored by or affiliated with this KFC Vietnam’s website. KFC Vietnam will not review which sites that such hyperlinks are linked to or from and will not be responsible for the content of any other websites. The Customer take his/her own risk by accessing to these hyperlinks. KFC Vietnam makes no representations or warranties for any content, completeness, or accuracy of these hyperlinks or the websites linked to this web site. KFC Vietnam reserves the right to modify these Terms and Conditions at any time without prior notice, and the Customer is requested to review these Terms and Conditions if there are any changes. By using the KFC Vietnam’s website under its modified terms, the Customer agree and accept such modified terms. Please provide your Email address to help us to serve you better.